We are a combined experimental and theoretical research group. We focus on food protein functionality and the physico-chemical and surface properties of food molecules. We work closely with the food industry to translate fundamental research into applications. We have received substantial funding from UK government and industry to facilitate this. 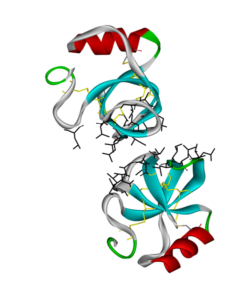 A particular theme of this research is the discovery or recovery of proteins or other functional molecules from waste streams or novel sources. This includes Innovate UK funding to support work on functional fungal proteins, and to develop novel at replacers from waste collagen protein. The group is a major contributor to a the Marisurf Horizon2020 project coordinated by Heriot-Watt University. The project involves 13 partners from 6 European countries. The aim of Marisurf is to discover new polymeric and low molecular weight surfactants produced by marine bacteria. 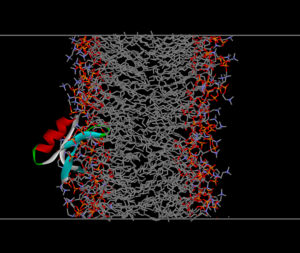 In addition to the applied experimental research, the group has an International reputation in the application of molecular modelling to study food protein functionality. Current projects focus on understanding the role of bile salts adsorption to lipid surfaces in digestion; adsorption of proteins to air-water and oil-water interfaces; the role of surfactant in interfacial lipid crystallization; and formation of structure in sterol-based food oleo-gelators.